Congratulations to Dr. Julia Reece, who was selected as an IODP Ocean Discovery Lecturer! 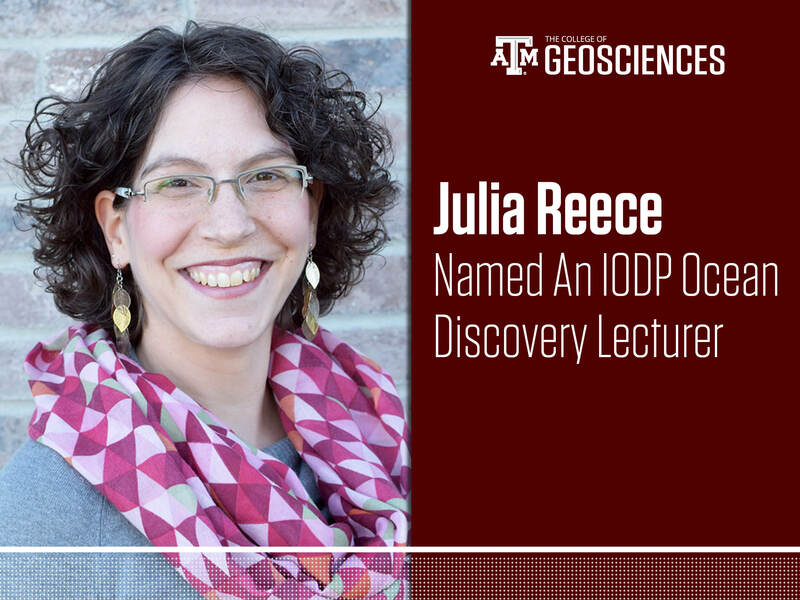 Congratulations to Assistant Professor in the Department of Geology and Geophysics, Dr. Julia Reece, who was selected as an IODP Ocean Discovery Lecturer for the 2018-2019 academic year! For each academic year, six distinguished lecturers are selected to be a part of the Ocean Discovery Lecturer Series where each lecturer must give at least six lectures focusing on results of International Ocean Discovery Program (IODP) research to academic research institutions, museums, and aquaria. The United States Science Support Program (USSSP) funds the lecturer's transportation expenses to and from various institutions. Dr. Reece studies the hydromechanical behavior of marine sediments. She was a Schlander Ocean Drilling Fellowship recipient and participated in two IODP Expeditions (Expeditions 308 and 322). Dr. Reece plans to present results from investigations of early chemical and physical diagenesis using mudstones from the Gulf of Mexico (IODP Expedition 308) and offshore Japan (IODP Expedition 322), during her lecture titled Mud and bugs under stress: Compression of marine sediments beneath the seafloor.